The American Philatelic Society has a list of books on forgeries available here. 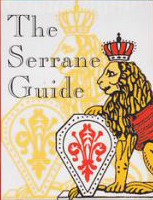 Serrane Guide Described as "One of today's most popular general references on 19th Century stamp forgeries", it was published in French in 1927. The contents were translated gradually over 13 years by the American Philatelic Society and those translations published in book form in 1998. It is now out of print and second-hand copies can be very expensive. Links to PDFs of the original French version are available here. 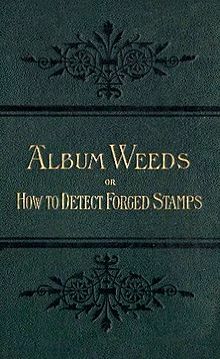 Album Weeds Robert Earée was one of the editors of the Spud Papers (see below) and later published Album Weeds; or, How to Detect Forged Stamps. The contents of the third edition (1903) are available on the stampforgeries.com site. 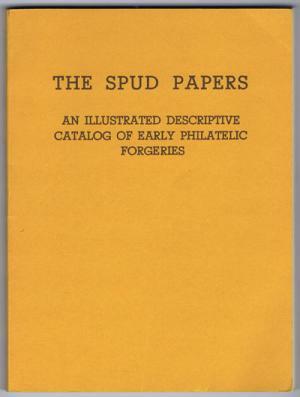 Spud Papers Also available on stampforgeries.com.